Time Vault Soccer: Debut társasjáték - Magyarország társasjáték keresője! A társasjáték érték! A Time Vault Soccer: Debut egy remek társasjáték, 2 játékos részére, az átlagos játékidő rövidebb, csak 30 - 60 perc. A társast, 8 éves kortól ajánljuk kipróbálni. A játékmenet erősen épít a pakli tervezés és a pakli építés mechanizmusokra. 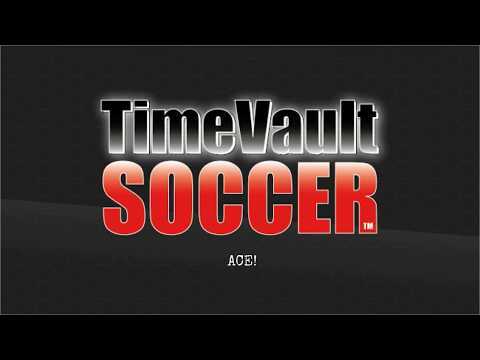 Time Vault Soccer is a tabletop football card game where you’re not only put in charge of your own club, but you’re also given access to a time machine and can go to whenever and wherever in your quest to design and recruit the perfect team. Highly strategic, no two games ever play the same, two players go head to head, with each directing their own custom team in a game of soccer. 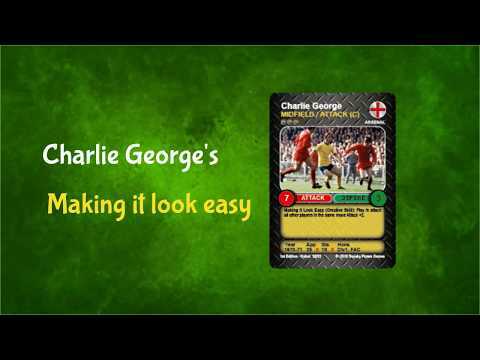 Players take alternate turns to build and then trigger attacking and defending moves whilst special skills enable you to enhance your moves or disrupt your opponent. There are no restrictions placed on formations or style of play. You decide who is in your team and how your team will play. You can build your team around Bobby Moore (Inspirational Skill), Jimmy Greaves (On Fire Skill), Pele (Thunderbolt Shot Skill) or go all disruptor and throw in Tony Adams (Offside Specialist Skill) to frustrate your opponent… or blend them all together. The first release of 64 cards, “Debut” pits ready to play squads from the 1960’s vs the 1970’s and is supported by expansion squads for the 1950’s and 1980’s. Although ready to play straight out of the box Time Vault Soccer is designed to be a tournament game where you customise your own squad through player drafts or transfer markets. Family friendly (8+), suits any gaming occasion for 2 players or multiple players in a cup, league or tournament format, fast paced, plays in 20-30 minutes and is super easy to learn… but a devil to master.